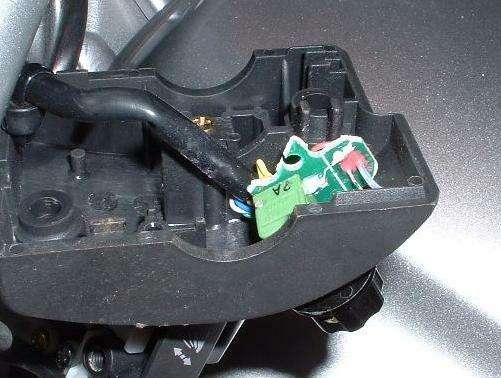 On 5/01/03 Dean Woodward sent in this info describing how he installed a Heat-Troller in the left handlebar switch housing. You can benefit from Dean's experience. I'm not going to get into the standard bits about installing a HeatTroller on a bike  you can read about that elsewhere. Instead, I'm going to talk about the things you need to be aware of for my particular installation  or, as it were, things I wish I knew when I did mine, so you can be aware of the issues. I was trying to arrange the switch/LED so that the LED was directly in front of the switch. To do this, you can see the switch is rotated a bit forward. While it's still possible to reach it and adjust it with a finger w/o taking your hand off the bar, it's not as visually appealing as if it would be if it were more "vertical". 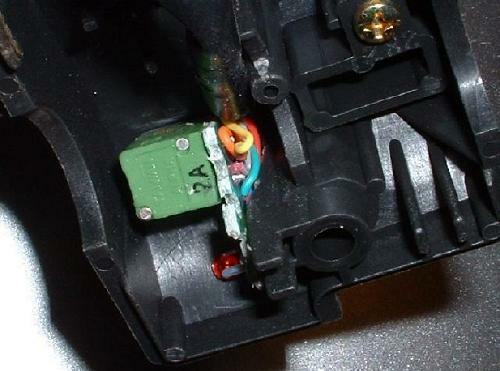 Next time, I'm going to separate the LED from the switch (the circuit board is scored so that you can break it apart for this purpose) and mount them separately. 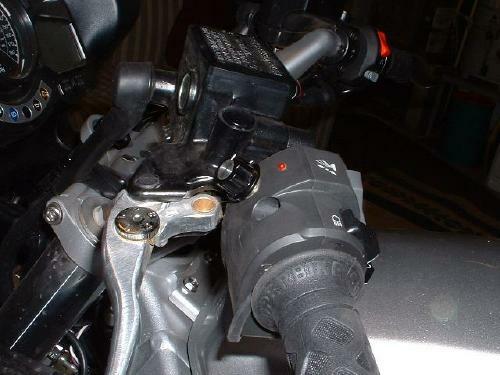 Because of the location of the housing in relation to the left grip and clutch lever, it's much easier to take off the grip, do this install first, then install your heating elements, and re-install the grips. 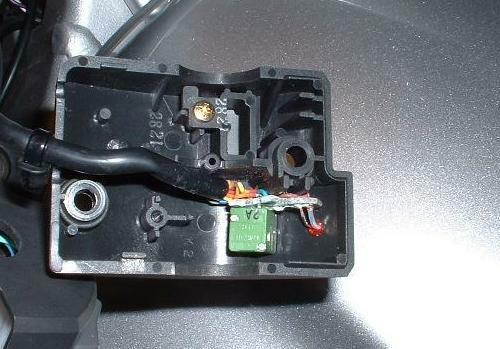 It's not impossible to do it the other way 'round, but getting the housing on/off when you have to work around the extra wiring etc. is more difficult. Copyright © 2003, by H. Marc Lewis. All rights reserved.